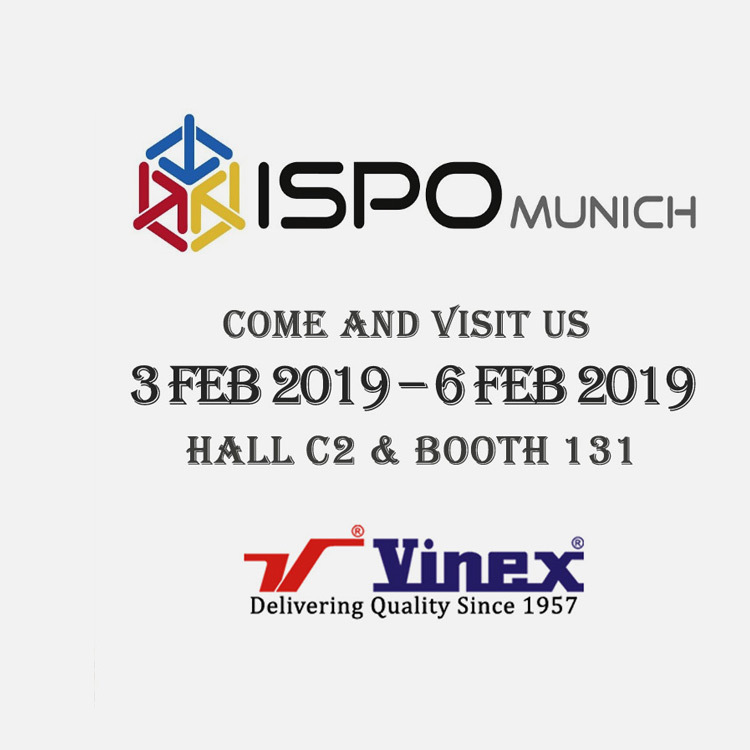 We glad to inform you that we are participating at ISPO Winter (Munich, Germany) from Feb 3 To Feb 6, 2019. We cordially invite you to visit our stand at ISPO MUNICH - 2019. If you need further information please feel free to contact us at sales@vinex.co.in. We will be displaying all the new products including all our major selling products. Please find below our stand location. Hall No. C2 and Booth No. 131.